Product categories of SMT Cover Tape Extender, we are specialized manufacturers from China, SMT Cover Tape Extender, Tape Extender for SMT suppliers/factory, wholesale high-quality products of Yellow Carrier Tape Extender R & D and manufacturing, we have the perfect after-sales service and technical support. Look forward to your cooperation! Cover tape extenders are used when a reel of SMD components doesn`t have a leader at the beginning of the reel. The tape extenders add an additional 508mm (20") of tape as a leader and feed into SMT Placement Equipment as a piece of cover tape. These tape extenders reduce the loss of components when you have no leader tape to work with.Can be used with either paper or plastic tape, punched or formed pockets, from 8-44mm width. 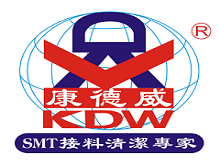 Copyright © 2019 ShenZhen KDW Electronics Co.,Ltd All rights reserved.